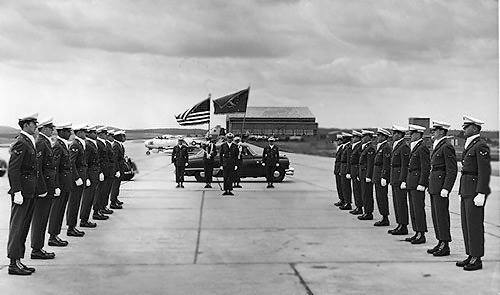 Special Honor Guard Ceremony, Sembach Flightline, 1953. A visit by 12th Air Force Commander Robert E. Lee. Courtesy of John Buchalski.